How are email users stored? The reason I ask is I would like to add and enable a plugin in either Rainloop or RoundCube so users can change their passwords at will from the webmail client. Are email users stored in SQL, LDAP or something else and how can I access their data? 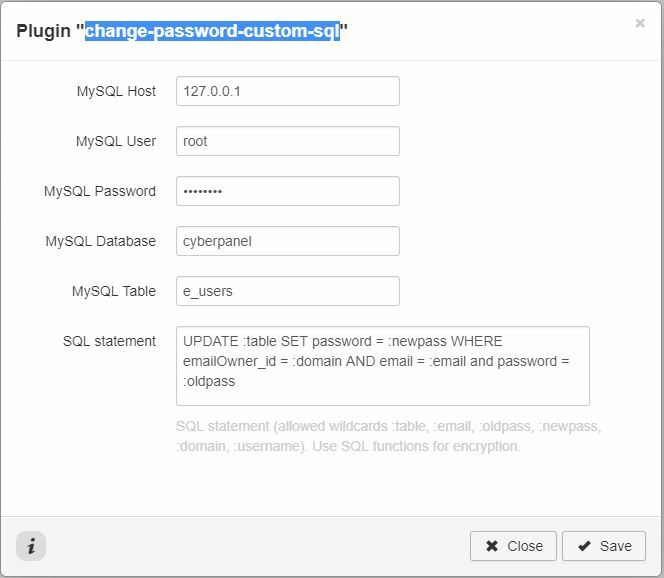 Note: The password is your MySQL root password that was supplied during CyberPanel installation.